Maybe it’s because someone from abroad brought the concept here in Manila, or maybe it’s due to the sudden increase of Filipinos now working on graveyard shifts, but one thing is clear: all-day breakfast is booming. Early Bird Breakfast Club is one of those restaurants catering to the trend. Found at the Fort Strip, the resto is almost tucked into the corner, seemingly oblivious to the crowd around the area. Yet, let not its location fool you. 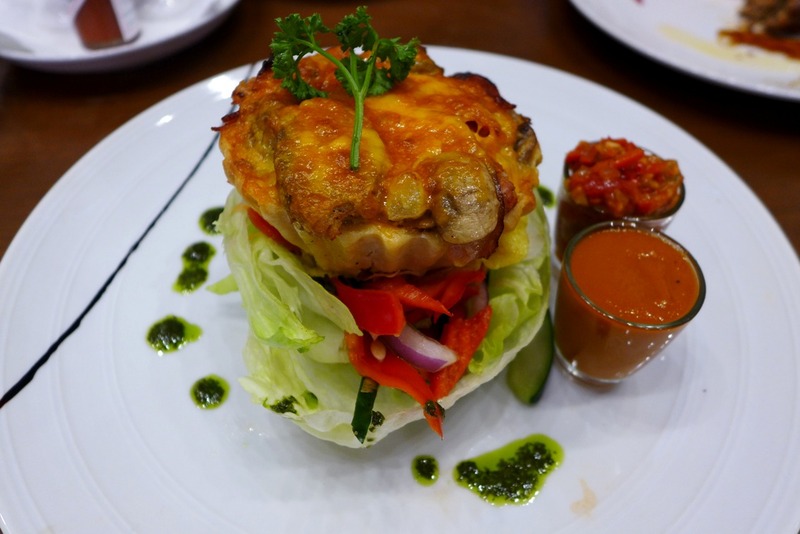 Once you step into the restaurant, you’d be amazed to see a house full of patrons enjoying their meals. They’re mostly yuppies in groups, sharing stories over a comforting plate of meat, eggs and rice. The bright, cheery interior uplifts the mood of anyone who enters. My friends and I ordered Viva Longganisa, Tenderloin Tapa, Breakfast Sausage Tart, and the Early Bird Full English plate as mains. Sure enough, the dishes could not go wrong. The salty meat and fried eggs in the longganisa and tapa dishes hit the taste buds that every Filipino possesses. The tart was smaller than anticipated, yet it was savory as well. 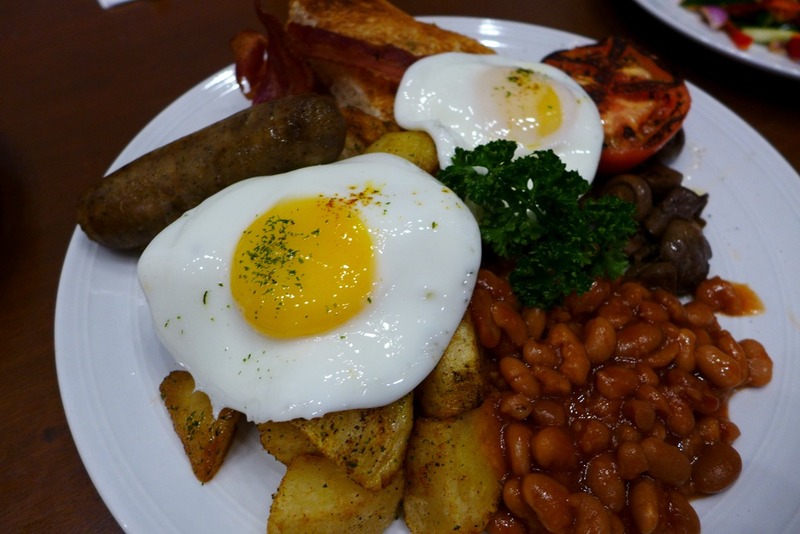 The Full English plate was a protein feast with it giant serving of sausages, eggs, beans and bacon. 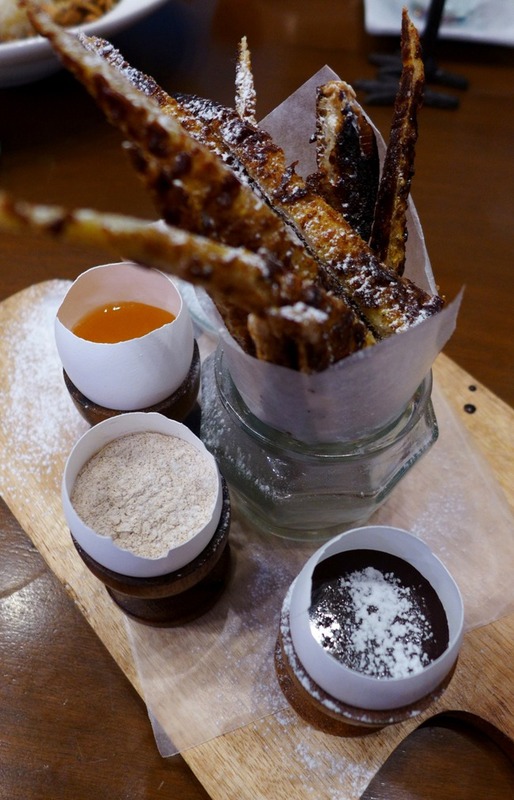 We also had the French Toast Fondue, where the bread was served as thin sticks along with three different dips – chocolate, maple syrup and cinnamon sugar. It was very crispy (and very photogenic too!). As if we weren’t full enough, we went to Bonifacio High Street Central and proceeded to Slice for dessert. When I heard about Slice a long time ago, I was thrilled. Finally, there’s a store catering a wider array of pastries and cakes! I was expecting a nice little café where I could enjoy the sweets, yet what was in front of me then was just the opposite. Perhaps it was because it was a Friday night and foot traffic was heavier than usual. The floor seemed dirty, the place was just too chaotic, and the furniture pieces were worn out. Amidst the noisy chatter of too close neighboring tables, you could easily zone out and just admire the cupcake stands and cookie jars spread across the table at one far corner of the room, or check the cakes on the display case to bet which one is the most delicious. Since we were still feeling full from the dinner, we opted just to order a couple of slices of cake, and each had a cup of coffee. Their latte was great, especially if you’re leaning toward the sweet and milky taste. It’s served with a saucer full of granola on your personal wooden plank. 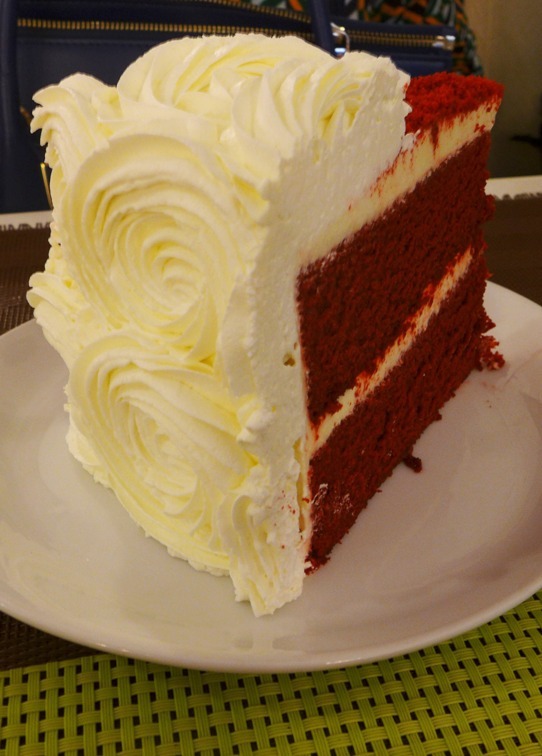 We had slices of caramel yema chiffon cake and a red velvet cake. 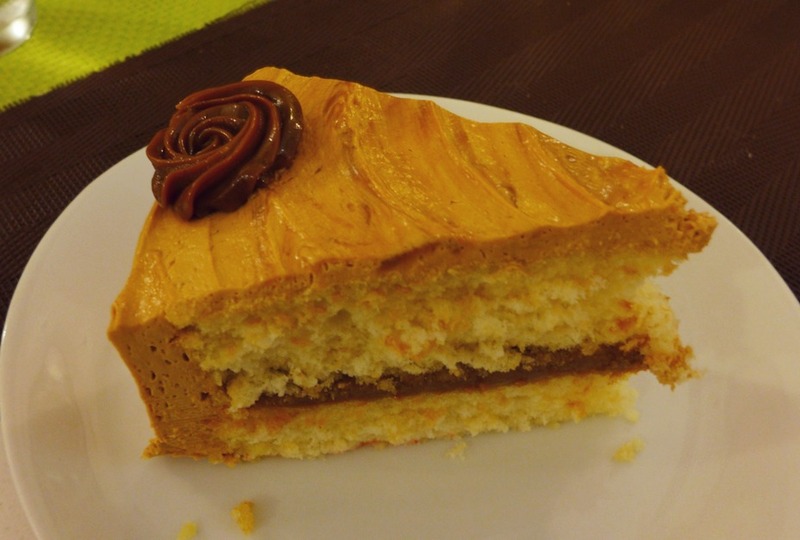 The yema cake was dry and was just too sweet. The red velvet cake, on the other hand, was almost wiped out by our group. Will I come back? Yes, if I’m around the area. I missed their choco yema cupcake, which was supposedly their bestseller. But I’d make sure to go on a less busy hour to get that slice of a good life that I missed the first time around.